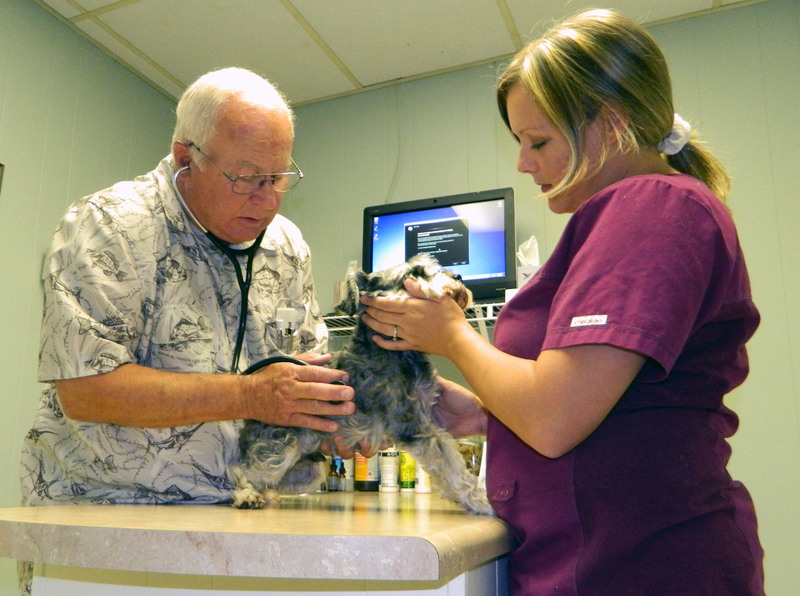 Cottage Hill Animal Clinic and Dr. John Slaughter has been providing Veterinarian, Pet Grooming and Kennel services for Mobile and Baldwin County residents, and for out of town guests and visitors for more than 40 years. Dr. John Slaughter received his Doctor of Veterinary Medicine degree from the College of Veterinary Medicine at Auburn University in 1973 and has practiced veterinary medicine in Mobile for 41 years. Dr. Slaughter practices all phases of small animal medicine and surgery. Dr. Slaughter is married to Karen Meaders Slaughtes. They have 3 children and 7 grandchildren, a Golden Retriever, a Labrador Retriever and 2 Shih Tzu’s. During his time away from the office, Dr. Slaughter enjoys hunting, fishing and farming and is an active member of First Baptist Tillman’s Corner Church. The Cottage Hill Animal Clinic Staff is managed by Amber Flanagan, and she is the Office and Clinic Manager. Amber is also a Certified Veterinarian technician, and she has been been side by side with Dr. Slaughter as his most valuable and trusted resource, since 2008. The combined experience, of our seasoned veterinarian and surgical technicians, and our pet handling and kennel staff exceeds 75 years. At Cottage Hill Animal Clinic we provide a broad range of services for your pet. We offer state of the art services and place high priority on keeping you abreast of the latest information to keep your pet healthy and happy. Our expert staff treats every pet we greet, with careful and loving care every step of the way.